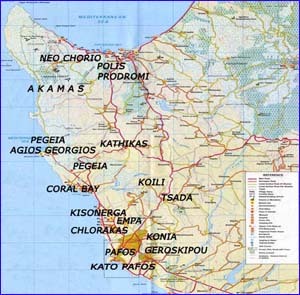 Cyprus is known as the sunshine country. Beautiful weather with plenty of sunshine and a great deal of water! The climate is very pleasant with year round good weather being one of the main reasons for the popularity of Cyprus amongst its millions of annual visitors. April through to October are usually warm and mostly dry with January being the wet and coolest month. July and August are the hottest and the weather can be muggy at this time of the year with its high humidity. We here at Tsokkas Estate Agency hope we can be of assistance to you in choosing your place on the island of eternal youth. PLEASE CONTACT US IF YOU HAVE ANY QUESTIONS REGARDING OUR OPEN SALE OFFERS.